Freshly juiced watermelon make this fizzy soda have a natural fresh taste that watermelon lovers will enjoy. Simply blend up some watermelon to make it juicy and add it to prepared water kefir. In just a couple of day’s time, you will have a refreshing, fizzy soda to enjoy. Place the watermelon chunks into your blender. Strain the juice through a fine sieve to remove any large particles. 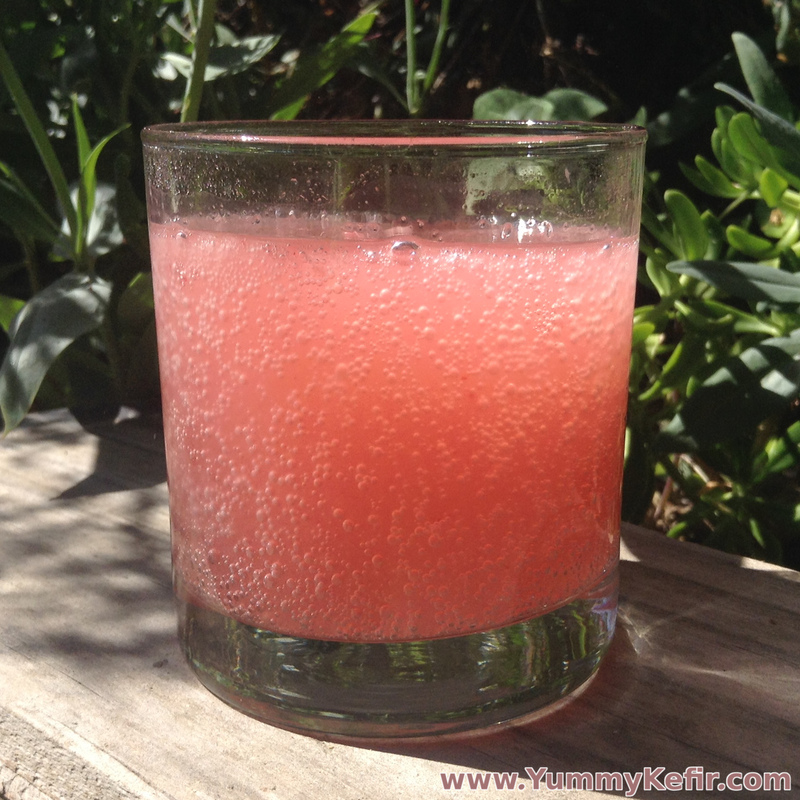 Mix together 3 cups of water kefir with ½ cup of watermelon juice. Bottle and let sit out 1-2 days to become fizzy.